New Jersey became the 14th state to allow medical marijuana when the New Jersey Compassionate Use Medical Marijuana Act (N.J.S.A. 24:6I-1 et seq.) was passed by the state legislature on January 11, 2010 and was signed into law by Governor Jon Corzine on January 18, 2010. Implementation of the Compassionate Use Medical Marijuana Act was stalled slightly when New Jersey Governor Chris Christie, a staunch anti-marijuana advocate, took office on January 19, 2010.New Jersey’s medical marijuana patient registry finally opened on August 09, 2012 and allowed registered physicians to initiate patient certification with the Medical Marijuana Program. Qualified patients can possess up to 2 ounces of medical marijuana within a 30 day period.New Jersey’s first Alternative Treatment Center, Greenleaf Compassion Center, began dispensing medical marijuana to qualified patients on December 06, 2012. Under the New Jersey Compassionate Use Medical Marijuana Act, medical marijuana must be ordered by a registered physician from one of the Alternative Treatment Centers approved by the New Jersey Department of Health.New Jersey medical marijuana patients cannot grow their own marijuana plants. In order for a physician to register with the Medical Marijuana Program, they must hold an active New Jersey license that is in good standing, possess an active controlled dangerous substances registration that is not subject to limitation, and practice within the State of New Jersey. For fiscal year 2016, the total budget for New Jersey’s Medical Marijuana Program was $2,046,730. In 2015, total revenue generated from issuing patient and caregiver ID cards and Alternative Treatment Center permits was $243,093. Approximately 48% of registered patients and caregivers qualified for and received the reducedapplication fee ($20 for patients on government assistance) in 2015. As of 2015, there were 362 active registered physicians in New Jersey’s Medical Marijuana Program. In December 2015, New Jersey’s 5 Alternative Treatment Centers conducted a total of 2,483 transactions. New Jersey medical marijuana caregivers can only have one qualifying patient at a time. The price of medicinal marijuana dispensed by New Jersey’sAlternative Treatment Centers ranges from $425 to $520 per ounce, with an average price of $489. The New Jersey Compassionate Use Medical Marijuana Act required the Department of Health to create the Medical Marijuana Program to register medical marijuana physicians, patients, and caregivers, and to issue permits to Alternative Treatment Centers. Participation in the Medical Marijuana Program is mandatory to receive the protections afforded by the Compassionate Use Medical Marijuana Act. Participants can register for the Medical Marijuana Program online at http://nj.gov/health/medicalmarijuana. 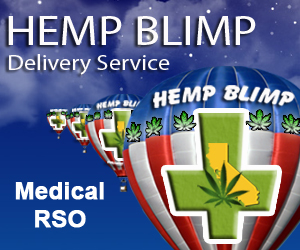 A registered physician must complete and submit their patient’s Attending Physician Statement to the Medical Marijuana Program, which will return a Patient Reference Number and Patient Registry ID to the physician. The physician can then register their patient electronically at https://njmmp.nj.gov. Once the patient has their Patient Reference Number and a copy of their Attending Physician Statement, they will go to https://njmmp.nj.gov and follow the instructions to register online. Participants in the Medical Marijuana Program are required to choose their Alternative Treatment Center at the time of registration, but are allowed to switch ATCs at any time and at no cost. The New Jersey Compassionate Use Medical Marijuana Act requiredthe Department of Health to create the Medical Marijuana Program, which licenses and regulates medical marijuana dispensaries, known as Alternative Treatment Centers (ATCs), for the cultivation and distribution of medical marijuana and related paraphernalia. The Act does not limit the number of ATCs that can be licensed in New Jersey, but suggests at least two in each region of the state—north, central, and south.The original 6 ATCs are required to be registered as non-profits, but are not required to register as 501(c)(3) organizations. The Act states that once the original 6 non-profit ATCs are open, for-profit ATCs will be allowed. Before issuing an operating permit, the Department of Health requires that ATCs provide written verification from the local government body in which the ATC will be located and evidence of compliance with local codes and ordinances. Alternative Treatment Centers were originally limited in the number of strains that were allowed to be cultivated, but amendments to the New Jersey Compassionate Use Medical Marijuana Act removed such constraints and there are currently 68 available marijuana strains in cultivation. The Medical Marijuana Program has developed the Medicinal Marijuana Strain Library, which is available to registered patients and physicians and contains laboratory testing results of available strains cultivated by the ATCs. ATCs are not permitted to utilize pesticides and the Department of Health tests for toxic metals and mycotoxins. At this time, the state is not accepting applications to open additional Alternative Treatment Centers. On January 17, 2011, the Department of Health released a Request for Applications soliciting parties interested in establishing ATCs. On March 21, 2011, the Department of Health announced the selection of six ATC applicants to move forward in the permitting process. Once the initial six ATCs are open, the state will evaluate the program and determine whether or not there is a need for expansion. If there is a determination made to add more ATCs, the Department of Health will publicize the expansion and provide the criteria and process for application. Under the New Jersey Compassionate Use Medical Marijuana Act, a physician is permitted to certify no more than 2 ounces of medicinal marijuana in a 30-day period and may certify a patient for up to 90 days before a patient is required to seek reevaluation. Medicinal marijuana is certified and dispensed in increments of one eighth and one quarter of an ounce by Alternative Treatment Centers. If a physician does not specify an allowed 30-day amount, the program defaults the patient to the 2 ounce maximum. New Jersey law does not allow medical marijuana patients to grown their own marijuana plants. The New Jersey Compassionate Use Medical Marijuana Act (N.J.S.A. 24:6I-1 et seq.) was passed by the state legislature and signed by the governor in January of 2010. It allows New Jersey physicians registered with the state’s Medical Marijuana Program to recommend that qualified patients consume up to 2 ounces of medical marijuana within a 30 day period. A physician’s recommendation must be reevaluated every 30 to 90 days, depending on the physician’s selected timeframe for the medical marijuana recommendation. Some medical marijuana advocates blame the constant reevaluation requirement for the Medical Marijuana Program’s relatively low participation rate (as of March 2016, only 6,960 patients and 631 caregivers had registered with the program). The following information is for the non-medical/recreational use of marijuana. Refer to NEW JERSEY MEDICAL MARIJUANA LAWS for information about medical marijuana laws in New Jersey. New Jersey does not currently have any recreational medical marijuana laws. Possession within 1,000 feet of a school adds 100 hours of community service and an increased fine. A marijuana possession conviction can cause a driver’s license suspension for up to 24 months. * Mandatory minimum sentence Fines and sentences are doubled for sales to a minor or pregnant woman. Being under the influence of marijuana or hashish is a misdemeanor punishable by up to 6 months in jail and a $1,000 fine. Even the cheapest marijuana stocks are some of the worst stocks in the ... That said, if you ignore the “green rush,” you'll be leaving money on the table. ... New York, New Jersey and Illinois to join the list of permissible jurisdictions. Medical marijuana laws vary greatly by state, so check your facts. We've made it easy for you.